View the Summer Evening Race Series page for more details. 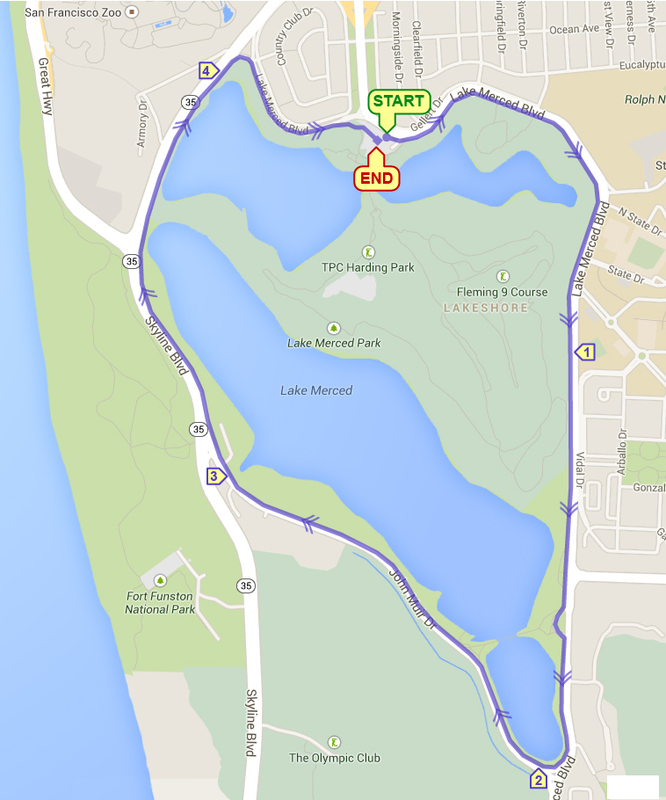 Run one 4.5 mile clockwise loops around the lake staying entirely on jogging/pedestrian path. There is a 1 hour time limit. 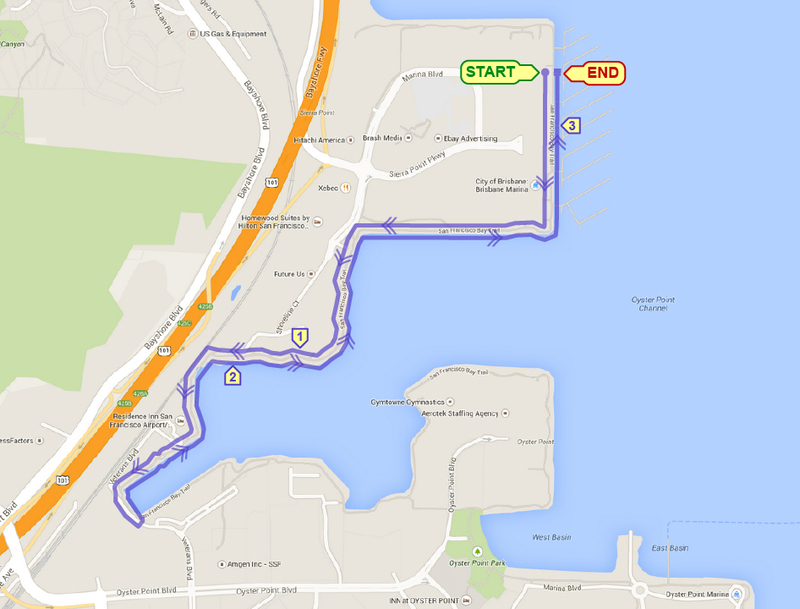 If you can’t complete the course in 1 hour (13:25 pace) you must self-time and start prior to 6:30pm. Finish line closes at 7:30pm. 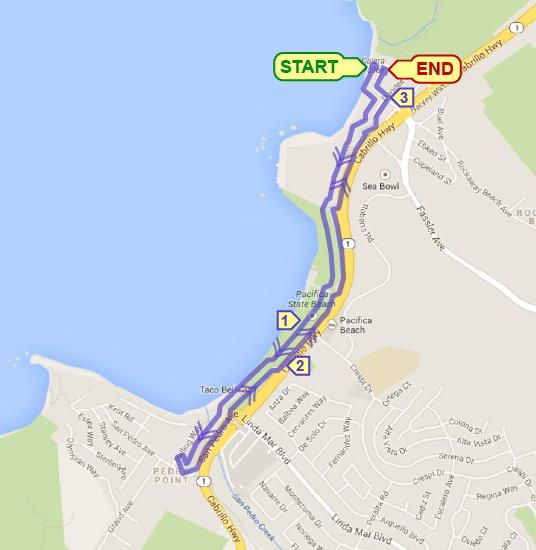 Complete clockwise loop, traverse the upper level of El Camino del Mar parking lot then downhill to Seal Rock/Clement. 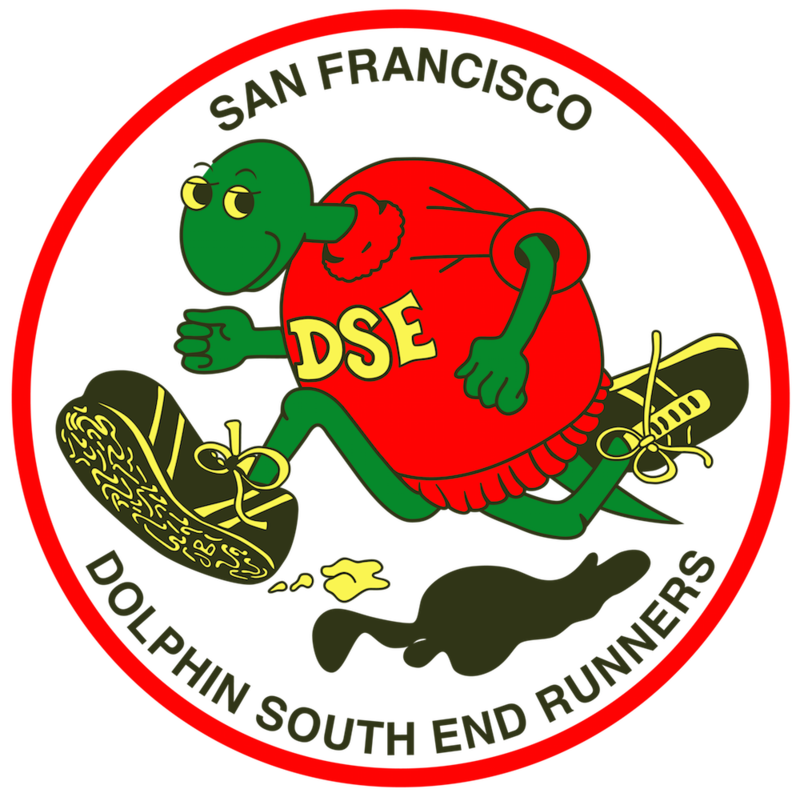 Turn right onto lower Land’s End Trail and continue running east past Eagles Point. Exit left, downhill on El Camino del Mar. Take lower fork at 30th Avenue staying on El Camino del Mar which merges into Lincoln Blvd. Turn left at Bowley and right into Baker Beach parking lot. Turn right onto Battery Chamberlain Rd., downhill and thru entire lower parking lot. 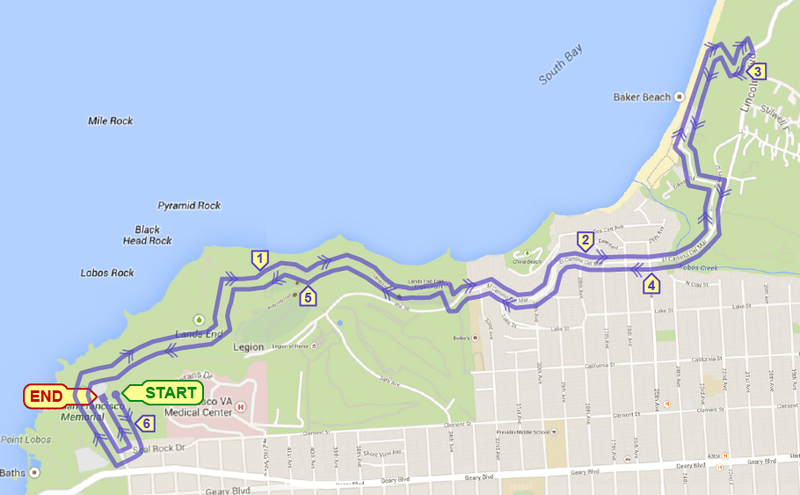 Continue running east thru the battery section of Baker Beach then right uphill on dirt /gravel path to Lincoln. Turnaround at top of Sand Ladder. Reverse direction and run back to finish. 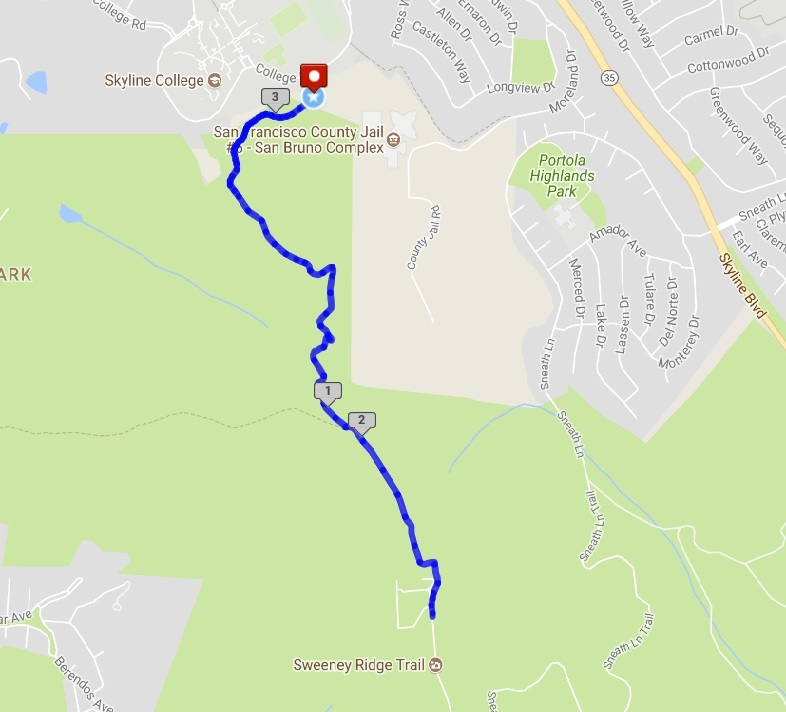 A challenging trail race on the Notch Trail and Sweeney Ridge Trail from Skyline College south to the Nike Missile Control Site and back. Runners will see beautiful views above Pacifica on a clear day. 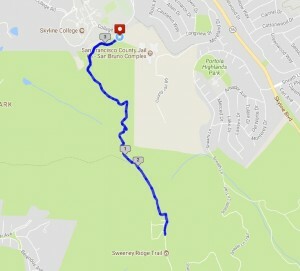 GPS or use a map to get to the intersection of Skyline Blvd (35) and College Drive in San Bruno. Signs on Skyline Blvd will direct you to Skyline College entering on College Drive. Driving west on College Dr turn left at the T intersection just before the track at the entrances to Skyline College.Then take the next left into Parking Lot A. Registration will be in Parking Lot A and the run starts a short distance away up from Parking Lot B. $8 members, $10 non-members. Race day registration will be available starting at 7am. Runners pick up bib numbers on race day. Sorry, no refunds. Race Course Description: Complete .75 mile counter-clockwise loop. There will be well-stocked aid station with water, electrolyte drink, and snacks at the completion of each lap. Ribbons to all finishers. Trophies to the top 3 male/female runners who complete the most laps.